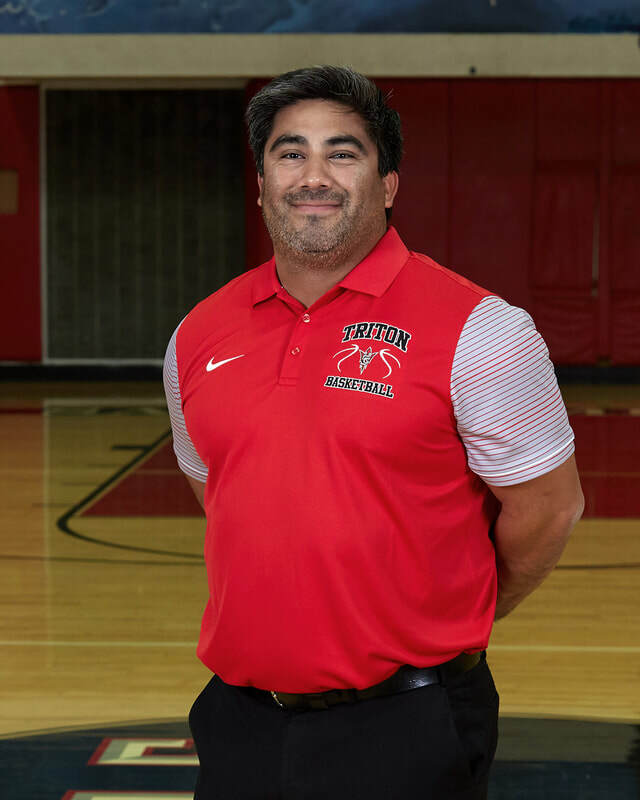 Oscar Montecinos is in his ninth season coaching basketball at San Clemente High School, where he also coaches football and baseball. His basketball teams have posted 20-plus win seasons in each of the past four years. This is not surprising considering the fact Coach Montecinos not just played all three sports while attending SCHS, he received All-South Coast League honors in all three. In basketball, the 1998 SCHS grad was the high school sparkplug point guard teammate of SCHS Varsity Head Coach Marc Popovich. Further, In January of 2015, he was selected as a member of Triton Basketball's All-50 Team, the 50 greatest players in the history of the program. He frequently can still be seen lifting weights at local gyms or playing highly competitive organized or pick-up basketball games. For the past several years he has been the player coach for the alumni team in the program's traditional Alumni Game. ​Illinois, where he continued to play basketball and was voted captain of the football team. ​ Montecinos earned his bachelor of arts degree in both criminal justice and history with a minor in political science. Coach Montecinos enjoys some time away from the court.